Context is everything. And sometimes it’s the mere shift of geography, the slighter or greater roar of the narrator that can make the biggest difference in a song. 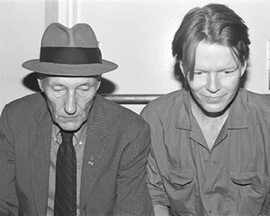 Jim Carroll’s “People Who Died” is a legendary song all its own. Originally released on 1980’s Catholic Boy, “People Who Died” runs through a litany of deceased friends – suicides, ODs, murders, war dead and disease victims – as it scampers across the body-strewn landscape of 70s New York. But despite the occasional twinges of genuine anguish that come through in Carroll’s voice, “People Who Died” sounds like something more factual than mournful. Perhaps it’s in the way that several verses are repeated – lives recounted again within the same song. Here these lives become just a recounting of experience. Emotions expressed (“..and Eddie, I miss you more than all the others / and I salute you brother”) become simply a world-weary incantation – a recitation that gives away its narrator’s acceptance of the reality. It’s a delivery befitting Jim Carroll given his experiences. There comes a point where another death is just another death. It doesn’t mean the people didn’t mean anything, but you can only take so much pain in a lifetime. Sometimes, it just can’t hurt anymore. 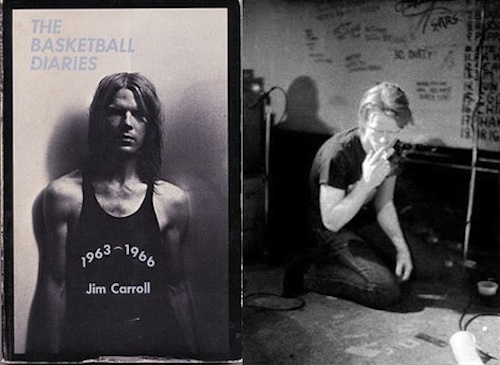 I haven’t really thought about Jim Carroll in a long time (I first read Basketball Diaries when I was very young and it really hit me — one f@#% of a book!). Anyway, I was reading through September’s Paste Mag today, and Andy Whitman discussed Catholic Boy and how the album “deserved the Punk Pulitzer, an award that doesn’t exist. It should.” And then the news. My impression is that there’s a great deal of surprise that he lived to see 60. I don’t know, I saw him give a reading twenty years ago, and although in rough shape at the time, he was obviously a resilient soul. Well, great post, and ruminations on this particular song. Hmmm. I like the idea of a Punk Pulitzer even more now! The news saddens me. “The Basketball Diaries” has had a lasting effect on my life, as has Jim’s music and poetry. His cataloging of his addiction and, ultimately, his triumph over drug use is/was an inspiring story.